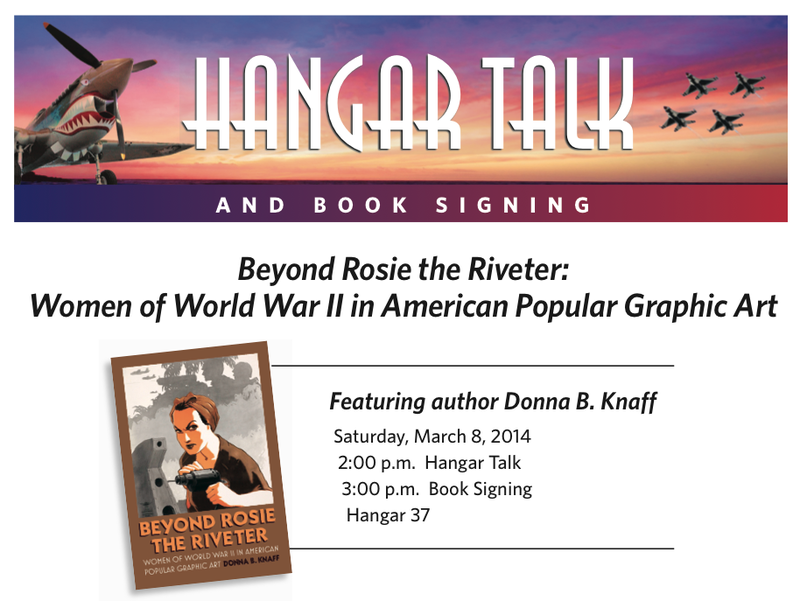 Celebrate Women’s History Month with award-winning author Donna Knaff as she examines the role of women during World War II in a provocative discussion of the Women Airforce Service Pilots (WASP). Through the iconic images of wartime posters, cartoons, and advertisements, Knaff explores the challenges facing both men and women as the traditional gender roles were being redefined by war. Donna Knaff is a post-doctoral fellow and World War II historian at the Joint POW/MIA Accounting Command, (JPAC). Her book, Beyond Rosie the Riveter: Women of World War II in American Popular Graphic Art, won the Emily Toth Award for Best Work in Women’s Studies and Popular Culture, awarded by the Popular Culture/American Culture Association. Free with Museum admission and free to Museum Members. Join the Museum today! Visit PacificAviationMuseum.org or call 808-441-1007 for more information. Hawaii History Bee & Bowl 2014 Tournament Championships a Success! On Saturday, February 22, 2014 the annual Hawaii History Bee & Bowl Tournament Championship was held at Island Pacific Academy, Kapolei. 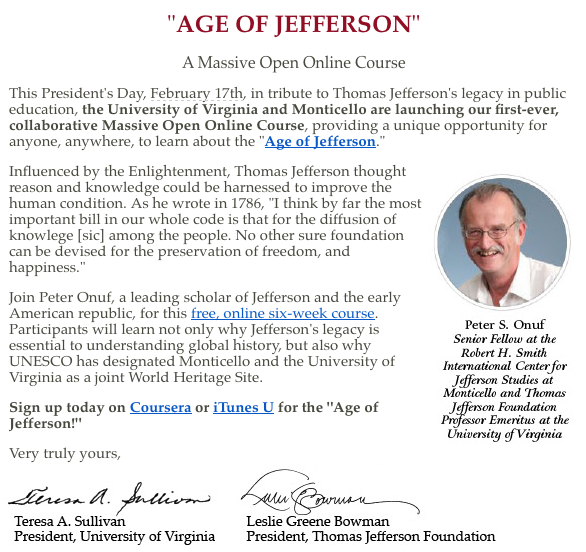 Go to this link for an online album of this event. This year the tournaments were jointly sponsored by History Education Hawaii, Inc., and The Pacific Learning Consortium. Over one hundred middle school and high students from across Hawaii participated. We express our sincerest thanks to the teachers, parents, and to Island Pacific Academy for allowing the tournament to be held there. Last but certainly not least we express our thanks to Esma Arslan (pictured above) of the University of Hawaii at Manoa for coordinating the event. Our congratulations to all the participants and winners! Good luck with the national championships in Washington, D.C. this Spring. We're pleased to share with you this photo album from Monticello. 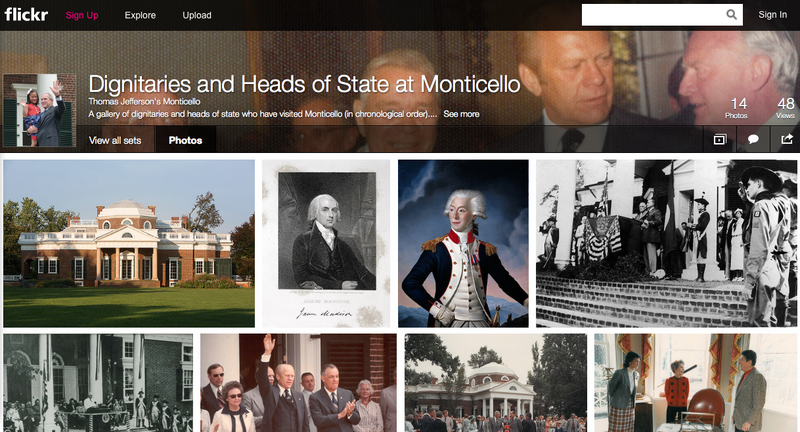 It shows heads of states and dignitaries who have visited Jefferson's home. Question: What heads of state and dignitaries have visited your historic home or museum? Post some pictures! 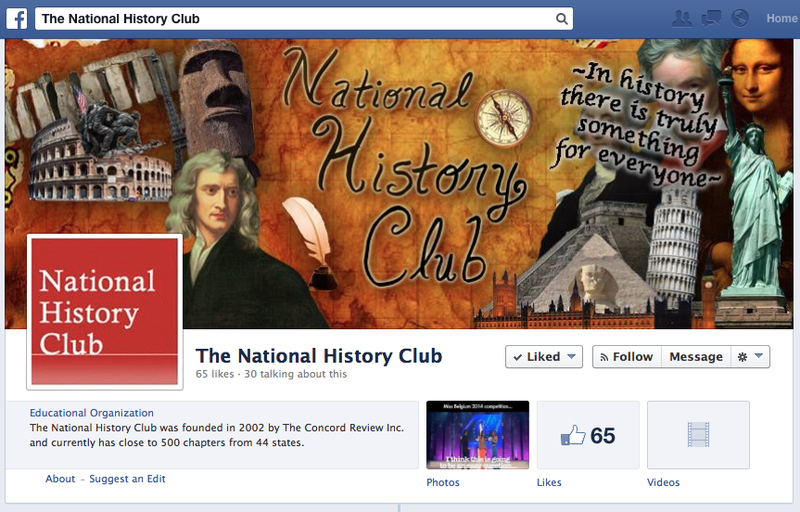 The National History Club is on Facebook! Please "Like" the NHC! We extend our congratulations to the National History Club! Why? The NHC is now on Facebook. Go to this link and "like"it today! Go to this link to learn more and enroll. Join up to 20 teachers to learn about Abraham Lincoln, Frederick Douglass and Washington during the Civil War as you spend a day at each of these fascinating sites! Come away from your week in Washington familiar with: an array of virtual tours, the oratory skills to get your students on their feet performing speeches by Lincoln and Douglass; comfortable taking students on content-driven experiential learning adventures; and excited about using a wide range of primary sources in your classroom! 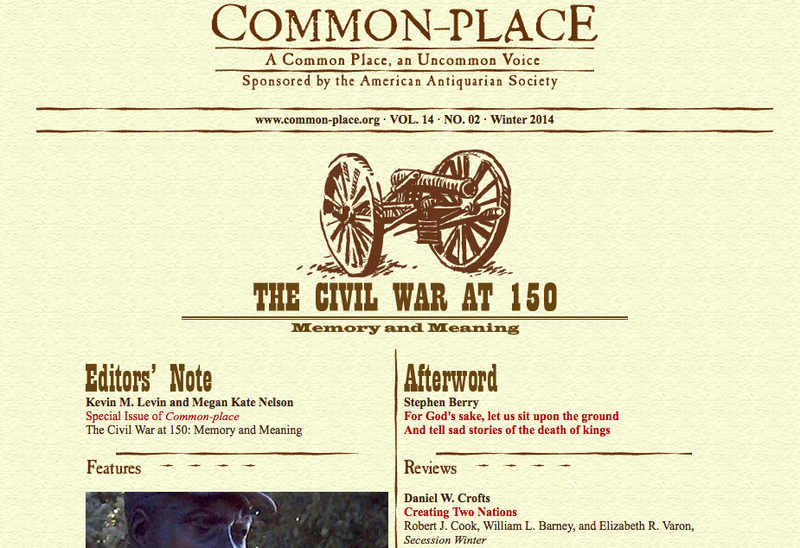 Common-place Launches Winter 2014 Issue: The Civil War at 150: Memory and Meaning. Common-place is proud to announce the launch of its latest special issue, "The Civil War at 150: Memory and Meaning." Edited by Megan Kate Nelson and Kevin Levin, this issue offers a collection of essays that reflect on the state of how we are remembering the Civil War at the midway point of its sesquicentennial observances. Ranging from Manisha Sinha's analysis of the post-bellum memory of the abolitionist movement to Mary Niall Mitchell's uncovering of the publication history of Solomon Northup's Twelve Years a Slave to essays from Ari Kelman, Adam Arenson, Sarah Beetham, and John Hennessy on the landscapes and markers of memory, this special issue offers a rich and provocative set of reflections on history, war, and memory. For all those features and more, please visit http://www.common-place.org. Common-place is published by the American Antiquarian Society.